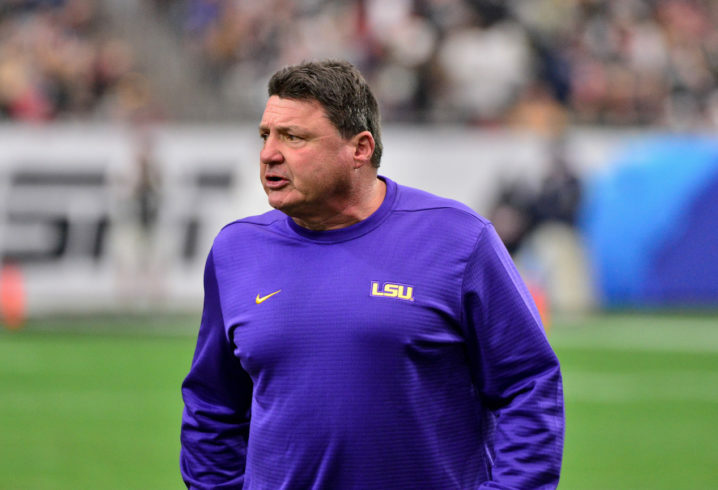 Last Wednesday, Ed Orgeron held a National Signing Day press conference in which he said that LSU is perhaps the only Power 5 program to not have a player enter the NCAA transfer portal. He then knocked on wood. However, that has apparently changed. Per 247Sports Shea Dixon, freshman DT Davin Cotton (Shreveport, Louisiana) has entered his name in the portal, which allows him to have contact with others schools. It doesn’t necessarily mean he’s transferring obviously, but once players enter the portal, most don’t return to their original programs. The 6-foot-1, 262 pound lineman signed with LSU in the class of 2018, and he was rated a 4-star prospect and ranked as the nation’s No. 23 overall DT and the state of Louisiana’s No. 9 overall prospect, per 247Sports Composite Rankings. He was credited with three total tackles in 2018. He should come to Jacksonville State.